Books I Liked Enough to Read More Than Once – The Bookshelf of Emily J.
I remembered these books because of Josh Hanagarne, author of The World’s Strongest Librarian. I attended his event at the SLC downtown public library a few weeks ago. It is part of his tour to promote his book. His talk was engaging, funny, and sincere. My husband and I really enjoyed it, and it was good to see both Josh and his wife Janette, whom we once socialized with on a regular basis because Janette and I worked together. Once I quit and she quit, we stopped seeing each other. And with social media, one never has to see one’s “friends” anymore. We all stay so connected (yet disconnected) online. Anyway, Josh’s speech was about how many of us readers often claim, “This book changed my life!” Yet he pointed out that this is often hyperbole, and the person exclaiming it cannot articulate exactly how or why it changed their life. So he shared a bunch of books that had actually changed his life. Some of them were silly, others were quite serious, and some were inspiring. During this review of some of these books, he mentioned rereading A Confederacy of Dunces by John Kennedy O’Toole each year and how he kept coming back to Blood Meridian by Cormac McCarthy. He asked the audience to share some of the titles that kept them rereading. I thought about mine silently, but because I’m not big on rereading, I couldn’t think of just one that always drew me back or demanded another look regularly. So, today I give you a list of the books I have actually reread. I’ve reread them because I enjoyed them and because circumstances required it. Often, I had already read the book but then a class would have it as assigned reading. I would then reread it to refresh my memory and to be able to produce an accurate paper. I also found this with some of the book clubs I’ve been involved with over the years. Here’s my list. 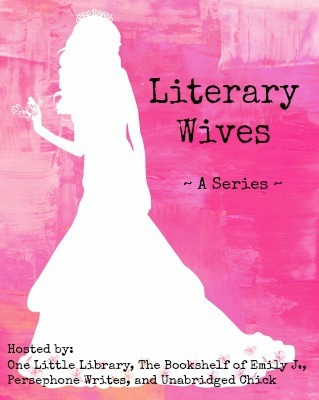 I recently reread a book because of the Literary Wives series that I am hosting with three other bloggers. 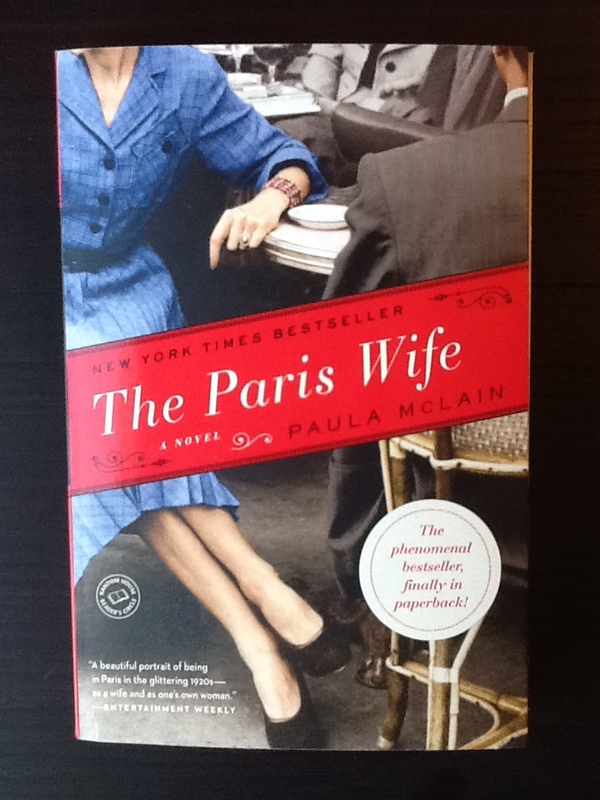 I just finished The Paris Wife by Paula McLain for the second time. It is the next book in the series, and I will be posting my thoughts about it on June 1. We encourage you to read along with us and join the discussion by commenting on our posts or posting your own review. I’m glad I reread this one. It gave me a chance to revise my rating of it on Goodreads. Apparently, I had given it only one star! And then I spent the last year recommending it to people. So, when I went back and saw that low rating, I couldn’t believe it. I didn’t even remember thinking so poorly of it. I do recommend it, and I raised my rating. I look forward to sharing my thoughts in more detail and in hearing your own opinions on the book and the famous couple at its center, the Hemingways. Which books have you reread and why? I haven’t re-read many books as an adult for the same reasons you state. However, I *am* planning on re-reading some of the classics. I last read them in either high school or college and can barely remember most of them. I know I’ll be able to get much more out of them this time around. Books I’m thinking about are Crime and Punishment and The Great Gatsby. I actually wrote my high school thesis on F. Scott Fitzgerald though I can’t remember loving The Great Gatsby…so I want to re-read it to confirm how I really feel about it. It’s interesting that I saw your post today, because just last night I expressed surprise at my 3rd grader for going through his Diary of a Wimpy Kid series for, I believe, the third time. He says he never tires of it plus his teacher says “it’s a good idea to re-read.” I do remember those old days, when I suppose life seemed infinitely long enough to keep re-reading. 😉 I think I’ve read Are You There God? It’s Me, Margaret and Deenie half a dozen times each. I am pretty sure rereading the classics will be worth it. I want to do that too. I may end up being “forced” to because of the BBC book list that I am following. After seeing the movie of The Great Gatsby, I wanted to reread it. That feeling quickly passed. I think twice is enough, for now. Yes, but I have complicated feelings about it. I love Baz Luhrmann movies, so I went with high expectations. I felt a little disappointed, but then about halfway through I really enjoyed it from there to the end. Like you, a lot of my re-reads come about because of book club choices. What I don’t tend to re- read are those books that might be said to have change my life. These books were so influential because of the congruence between the subject matter and the specific situation in my life at the time. I doubt the would have the same effect if read now. That is so true! When I reread Caramelo, I was a little disappointed. It didn’t touch me the same way it had the first time. It’s interesting to hear your thoughts on reading books more than once. I love rereading books but I only reread ones that I really love, such as Jane Austen’s six novels. There is always something new to be discovered with each reading of them! I also have an annual habit of reading Doctor Zhivago every winter, usually around November or Christmas time. I like reading Russian literature in the winter; it seems very apt for dark, snowy days. 🙂 As an Amazon Vine program reviewer, I am usually inundated with new books to read and review. I love discovering new authors but, for me, there is something uniquely comforting in returning to reread an old favorite. Russian lit is perfect for the winter! I may have to look into Doctor Zhivago. It is one of those I’ve always known about but never read. It’s a wonderful book with a heartbreaking ending. I love the author’s lyricism and poetic writing which shines through particularly when he is describing nature. I have been waiting patiently for the review of “The Paris Wife”… I read it, then re-read it very quickly. I was looking, but I can’t find what the next book in the series is? What’s the name of it? Next is A Reliable Wife by Robert Goolrick, and then The Aviator’s Wife by Melanie Benjamin. Oh, I hit submit too soon… I remember when I was in 4th or 5th grade, I read Judy Bloom’s “Tales of a Fourth Grade Nothing” three, maybe four times before I could move on. There are others but those are the top two. I love that book, too! With our second child, if she had been a boy, I wanted to name her Henry. But she was a girl. I begged to name our son Henry. My husband said it was too geeky and refused. So I named the dog Henry. Did you read her book about the twin sisters? I started it, but didn’t finish it. I agree! But he insisted we should both like name and I could not overrule him. So he is Quinn instead. Silly men. i love the great gatsby and have probably read it eight or ten times. i appreciate it more each time i read it! the old man and the sea, probably eight or ten times as well! rebecca… “last night i dreamt i went to manderley again.’ i love that opening sentence, and it pulls me back into a story i’ll not abandon until i’ve reached the end! i reach for that book just to appreciate that opening sentence! corelli’s mandolin.. i love the advice father gives daughter about the two trees growing old together… i also love the skillet/kitchen scene at the end! bel canto … reminds me to be compassionate and remember that some people play roles in a warped destiny they wish could have been different. deep sleep… like rebecca, the opening page picks me up and carries me to page two.. and i pause, drink it in, return to the opening sentence and read it again. this book walked away from my collection of books by greg iles.. well all of the books walked away (mystery still) but i miss that one most! there’s a funny little short story by lewis nordon that i often enjoy called, ‘sugar among the chickens.’ i love to read part of that out loud to select victims from time to time! thanks for allowing me to reminisce! Your reminiscing made me reminisce too! I love so many of those books you mentioned. And you reminded me that I have read The Old Man and the Sea a couple of times. It is a good one. living so far from any library with english books, i treasure my collection. i’m not real fond of reading electronic versions – there’s nothing that replaces the aroma of books, cradling the book in one’s hand, and for me, i enjoy studying page design, complete with half title pages and blank sheets at the front and end of a book! i think we’re becoming the dinosaurs! Yes, I love “real” books too. I tried e-books, but I just don’t like them as much. Thanks for the list, Emily. If you liked House of Mirth by Wharton, try her “The Fruit of the Tree.” No one reads it, but it is exceptional — not only as literature but also as philosophy. Interesting! I will try it. I’ve read a lot of her work, but not that one. Thanks. Like Grace @ Cultural Life, I have reread the Jane Austen novels many times. Other books I have reread are 1984 (which got me hooked on dystopian fiction) and The Westing Game, a Newberry Medal winner from 1979. The Westing Game is one of the first books I read that made me truly love reading for pleasure; it is my quick 1.5 hour of nostalgia every year. Otherwise, I don’t reread books too much because I am always itching to move on to current releases. The Aviator’s Wife is in my queue right now! Ha! If we are counting children’s books, then Big Red Barn by Margaret Wise Brown tops my list! I need to read The Westing Game. I’ve heard of it, but never read it. and ‘Favorite Poems, Old and New’, a collection by Helen Ferris. It’s a very old compilation of poetry that has everything from nursery rhymes to The Highwayman and Casey At The Bat. Me neither! I love the first two on your list. I am going to have to add Stranger in a Strange Land to my list. My list would not be complete without it. Many years ago I loaned the book to my younger brother who was an avid pulp western reader. He had just signed up as junior crew member on a tugboat and would be at sea for a week at a time. To pass the hours between loading and unloading oil, he would take a duffle bag filled with books. On his second ‘tour of duty’ I loaned him my copy of Stranger In A Strange Land and when he got back he threw away all his westerns and stocked up on SF. Notably Heinlein, Asimov, and some of the other popular authors of 30 years ago. He still reads an occasional western for fun, but SF is his choice now. I look forward to hearing your thoughts on “The Paris Wife.” I’m just finishing it up for my book club next week! I generally don’t reread books either since there are so many stories I haven’t read yet, but would love to start reading. Thanks for reading! Is Runaway Alice Munroe’s short story collection? I love that one. I’ve re-read The Hobbit & The Lord of the Rings Trilogy multiples of times. I think I’ve already mentioned what a Tolkien nerd I am, and proudly so. You make a good point about really being able to define the reason a book has been so important to us, it’s so easy to just say that it was defining but not elaborate on why it was so. In the case of Tolkien, it’s the lore of my youth. I’m fond because my Mom read and re-read these to me and my siblings. She sang the songs, chanted the poems, and the time spent together in calm reading can’t be undone. I revisit these books still for sustenance and rejuvenation. Another defining book for me has been the Bible, because I was steeped in it like tea, and because I’ve read and re-read it as an adult even as I was losing that religion. I realize now that I’m permanently stained by it, but I no longer re-read it because it’s bitter now, from over-steeping. Another great defining book is The Song of the Dodo, by David Quammen. A delightful read, fun, and mesmerizing, I never tire of it. I have more titles that come easily to mind, but this is too long a comment already. I guess I’m a re-reader in general. I recently spent a year of ‘no-new-books’, during which I only re-read books already on my shelves. It was an idea motivated by lack of funds for compulsive book purchases, but turned out to be a great exercise. Can’t wait to read for the first time, The Paris Wife, and to hear what you think of it. I love that idea of a year of no new books. I may have to do that once I’m done with the BBC list. I also like how you compare reading and rereading to steeping. Sometimes more exposure is better, and other times it isn’t. I understand and connect with what you are saying about LOTR. I love my memories of books almost as much as I love reading them. I enjoyed reading your article it made me wonder about the reasons that we re read them. I can say, hand on heart that when I’m feeling down, I head for Jane Austen’s books or Roald Dahl’s collection of adult books. My favourite though has to be Slow Waltz in Cedar Bend, by RJ Waller. Ooh, I want to read Slow Waltz in Cedar Bend. It just sounds good. What is it about? Ha! You’ve got it memorized. I have this silly board book about going night night memorized. I must’ve read it 600 times at least. I didn’t realize that this was a “good” thing to do, so I’m glad we have read the same books to our kids over and over. But we mostly do it because they demand it! That is so true. I have had that too, but sometimes the feeling is disappointment! I’m glad you liked The Paris Wife! I’m super excited to discuss it with you. Oh rereading… I LOVE rereading. So I’ve reread: Jane Eyre (duh), Wuthering Heights, Pride and Prejudice, The Tenant of Wildfell Hall, Gone With the Wind, Lord of the Flies, and so many others… How is Blonde? I heard Joyce Carol Oates talk about it on the BBC World Book Club and I’m intrigued, but not totally convinced I want to read it yet. I loved Blonde! Loved it! It isn’t exactly squeaky clean, as a warning if you’re sensitive to stuff like that, but it is gripping and just wonderfully written. I think it is one of Oates’s best, if not the best. I have to add that I’ve read Gatsby numerous times, and To Kill a Mockingbird more times than I care to say, both because they were on my teaching list, but I enjoyed them both for the symbolism and the life lessons that were inescapable. Each reading brought new insights and new things I didn’t remember from earlier readings. You’ve listed so many of my favorites, many that I’d forgotten, and so many new ones that I want to try! Thanks! Thanks for reading! I want to reread To Kill a Mockingbird. It is such a great one, a classic, and I know I would enjoy it again. What a great list! I’ve read and enjoyed the last two. IT scares me way too much to even try! I think there is a lot of value to be gained by re-reading. It’s easy to focus too heavily on plot when you read something the first time. When you re-read, already knowing what is going to happen, you can experience the other elements of character and theme to greater effect. When I first read Crime and Punishment, I did not care for it too much. But I re-read it, as part of a Russian phase where I worked my way through a stack of Russian classics and history books – and I loved it the second time. That being said, when there are so many books we still haven’t read, it’s hard to justify devoting time to re-reading even the ones we enjoyed. You just summarized the issue perfectly. You’re right that we gain more than just plot from a second read. I do like that part of it. I think I’ve heard of The Paris Wife. I want to say my girlfriend told me about it. She’s a big fan of Midnight in Paris, which features Hemingway in, well, Paris. Anyway, it sounded really interesting and I’ll probably be giving it a read when I catch up on the mountain of books and comic books that I have. On the subject of re-reading, I have rarely re-read books. Most of the time, if not every time, I have re-read one because of school. This isn’t due to me not liking certain books enough to re-read them, just me, like yourself, preferring to read new ones. Thank you! Midnight in Paris was quite a fun movie! Have fun reading more about Hemingway. I suggest his memoir A Moveable Feast as well. I enjoy re-reading as much as the first experience of a book. And since quite some time, there’s always a debate going on inside my head; to read new ones or re-read the old ones. The lure of new authors and the fondness I feel for the old ones together just make me sort of strike a balance. I prefer it that way. It sounds like a good balance. I wish I could find a way to fit in more of the “old” instead of always wanting more more more. I think I would get more out of certain books from reading them again. I really love that one as well. I would definitely be willing to reread it. I came across your blog on the recommended blogs on my news feed page. When I read this post and you mentioned the SLC library, I kind of flipped out. Salt Lake is my hometown and I miss it so much! I am excited to follow your blog, having a true passion for English, as well as Literature too. As for some books I’ve reread, the Bunnicula Series. My sister read them to me when I was little and now its almost a tradition to read them every year. I know there are many others, but that is one that just really stood out to me. That’s so cool! I live in a suburb just north of SLC. We love it here. Where are you now? I remember the Bunnicula series. So fun! I use to live in Rose Park, but we moved to Florida when I was eleven. I’m in Tallahassee now, going to school for my Bachelor’s in Editing, Writing, and Media (a fancy way of saying Journalism), and have a minor in Communications. My sister just bought a house in the Rose Park area. Thanks for sharing, Emily J! Looking forward to adding some of these newbies to my own reading list. One text I return to often is Dandelion Wine by Ray Bradbury, as well as Stargirl by Jerry Spinelli and The Little Prince by Antoine Saint-Exupéry. The Little Prince is great! I recently read that for the FIRST time! I loved Gatsby! Have you seen the new movie yet? I’m kind of scared to see how it turned out. Movies don’t generally do a good book much justice. I did see the movie! I was disappointed with the first half, and then it seemed to deliver after that. My Mum gave me The Paris Wife to read last year because she knew I was a fan of Hemingway. I’ll keep an eye out for your post! I’ve re-read The Catcher In The Rye, Saving Francesca (by my favourite Australian author) and the Harry Potter series more times than I can count. I finally read the Harry Potter series in consecutive order and it was fun to find out things that had been alluded to in the first book and answered in the 7th. And while The Catcher In The Rye doesn’t resonate with me now as much as it did with my 17 year old self, I love Holden’s monologues and Salinger’s style of writing so it’s always a great read. You make me want to reread the whole Harry Potter series. It has been too long. My husband and daughter are reading them together now. They are such fun books, and I would like to see how all of the plots come together. I didn’t notice any of that the first time around. I find rereading books comforting. For example, when I’m in a new place, Or around new people, I’d always being an old, familiar book. It’s like taking home with me; I know my way around and am already friends with everyone. I’m 15 and still own books from when I was 10 specificLly for this reason. When I’m at home, I’m always desperate for something new to read though. I like the idea of comfort! That is a great reason to reread a book. The books that I reread are usually those that I’m recquired to reread due to a certain project or paper. Recently I’v reread P. J. Tracy’s books – it was my choice. I’m a fan of detective fiction and I also have to write a paper on the subject. I love to reread books I loved years ago, because it is interesting to so how my perception of the book changes over time. The first read is never the same as a reread, and that’s what makes it fun. That’s so true! Our perceptions do change, so a reread could end up feeling like a whole new book or experience. Thanks for sharing. There are a few books that I re-read from time to time, mostly because I loved the dialogue or plot or some other story feature. As a writer, I find myself reading/re reading to inform my own literary voice. I’ve re read a number of the Redwall series by Brian Jacques and Tamora Pierce’s work too. You’ve raised the importance of reading in order to better write. I love that idea!